As a wine enthusiast, I seek to sample wines from lesser-known regions. While I appreciate the supple richness and velvety texture of a Pomerol from Bordeaux and the complex fruit concentrations of Southern Tuscany’s great Brunello di Montalcino, it’s the pours from destinations that are not yet written on the wine lover’s map that really get my palate going. 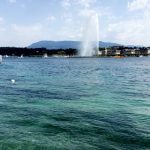 I recently visited Switzerland’s Lake Geneva Region. It’s a gorgeous part of one the most stunning countries in the world. This French-speaking swath is full of Gallic joie de vivre and plenty of panache. 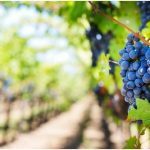 I expected to satiate my sweet tooth with delectable and justifiably famous Swiss chocolates but I was surprised to find that the region has been proudly producing delightful wines for many, many centuries. 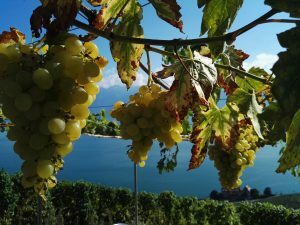 Get ready to join me on a wine-infused Swiss holiday that Bacchus would approve. The Lake Geneva Region is a patchwork of manageably sized cities, including Lausanne, Vevey and Montreaux, and charming small towns. Sparkling Lake Geneva is the centerpiece. It’s very easy to reach these towns from the Geneva airport. Of course, the legendary efficiency of the Swiss Rail Network means you can be here soon after your plane lands. The trains run like Swiss clocks, so you won’t need a car to explore. 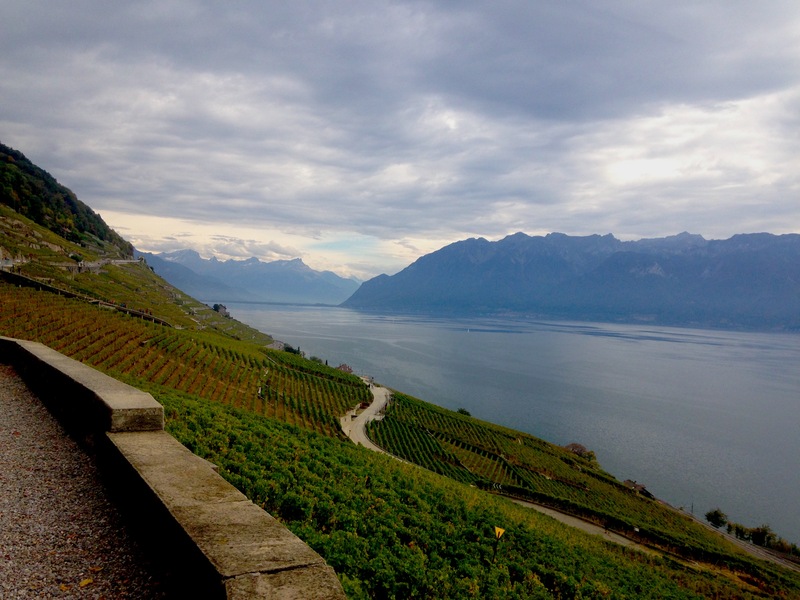 Let your gaze drift up from the lake and you’ll note the Lavaux Terraced Vineyards. 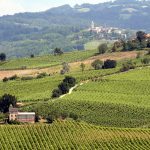 These venerable vineyards are a UNESCO World Heritage site. 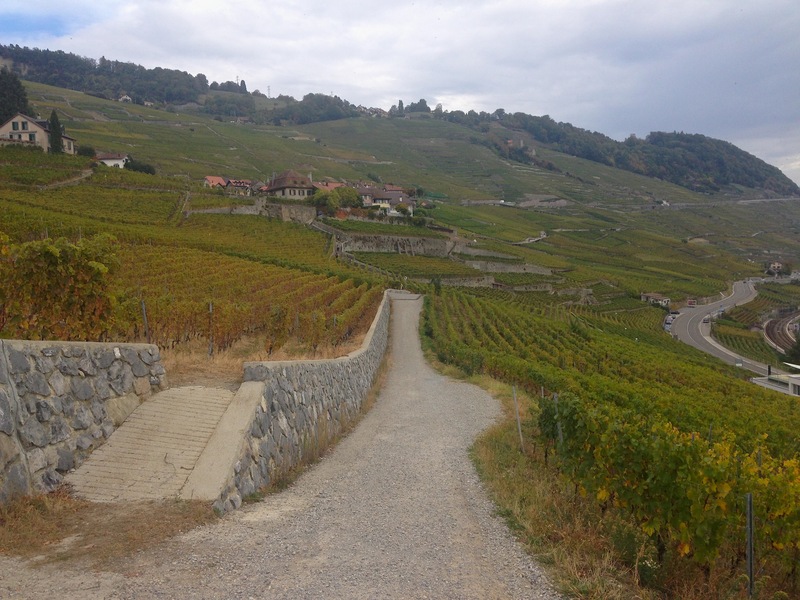 The Great Lavaux Trail is a scenery-rich walking trail winding through the vineyards. As you stroll, you’ll observe the agricultural rhythms of the vineyards. These suspended vineyards are rich in history and locals are very proud of their patrimony. Historically, growing grapes was an important source of income for many local families. 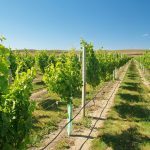 Each inch of space was vital so unusual ways to maximize the number of vines brought growers to utilize nooks and crannies such as the area’s quintessential vine-covered stonewalls. Working the terraced vineyards continues to be a challenge, but modern day grape producers have inherited techniques and tips from their ancestors, who’ve been growing grapes here since the Middle Ages. Several varieties of grapes are grown on the steep slopes between Lausanne and Montreaux but Chasselas is the undisputed queen. The Lake Geneva Region enjoys the mildest climate in Switzerland with the sun shining brightly for an average of 1,800 hours each year, perfect for this grape to thrive. Perhaps you’ve never tasted wine made from the Chasselas grape? You’re not alone. The Swiss drink nearly all that they produce leaving little to none for export. You’ll need to visit to drink this super-crisp, light-bodied, lively white. It’s highly compatible with the local Alpine cheeses, cutting through the richness of a fondue or raclette like a knife through butter. What does Chasellas taste like? It is often described as a neutral wine without distinct fruit notes. It is delicate with low acidity and a welcome sparkle. It is light and quite low in alcohol so it’s easy to drink plenty. It’s subtle and dignified in its simplicity. Since these wines are not available at home, take plenty of time to sample while you’re here. 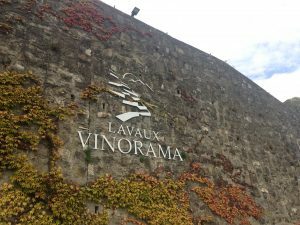 Lavaux Vinorama is the place to discover them. It opened in 2010, fast becoming a must-see. Approximately 300 regional wines are available in the tasting room, many of them Chasselas. It’s a unique and welcoming space no wine drinker should miss. They offer guided walks through the vineyards and an informative video presented in several languages. The Fête des Vignerons is the first living Swiss tradition to be recognized by UNESCO on the list of intangible cultural heritage. The festival takes place only once every 20 years in Vevey’s market square. Vevey is situated in the heart of the Lavaux so it’s the perfect location to pay homage to the region’s viticulture tradition. 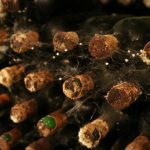 Attracting hundreds of thousands of visitors from around the world, it celebrates the cultural heritage of Swiss wines and honors the efforts of Swiss wine growers. Live performance is a focal point of the festival. World-class artists, set designers, stage directors and composers assure a very high caliber show yet the performers are predominately vineyard workers and local villagers. The festivities will take place from July 18 until August 11, 2019. Tickets should be bought in advance and may be purchased online. I could rhapsodize about how unforgettable Swiss hospitality is but the best way to understand it is to experience it. 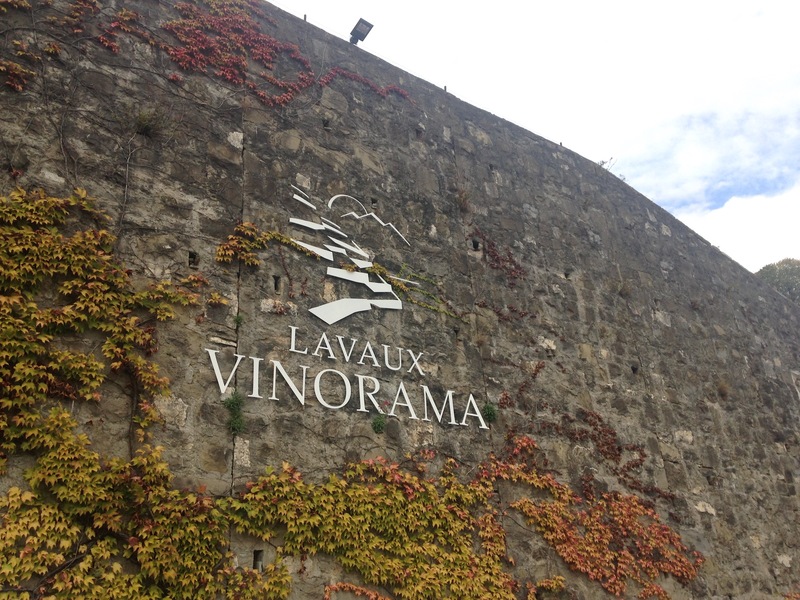 The Lavaux vineyards span from Lausanne to Montreaux, so both of these towns would make fine base camps. Lausanne’s Beau-Rivage Palace Hotel is one of the most elegant lakeside hotels in Europe. The indoor and outdoor pools and spa are fabulous. They have several dining options including Anne-Sophie Pic, which was awarded two stars in the Michelin guide. If you’re going to the Fête des Vignerons, it makes sense to stay inVevey, where the festival is held. The town will bealive with performance as well as many drinking opportunities. The Grand Hôtel du Lac is an old-world lakefront charmer. It’s refined but never stuffy. The staff goes out their way to cater to your every whim.